This aviation magazine article was originally published in the October, 2011 issue of Airplanista Magazine. You can view the original story in our digital aviation magazine here. Airplanistas come in all sizes, genders and ages, and can reside in any part of this globe. To compliment my story on EAA’s Young Eagles Program, I wanted to investigate just what the future of aviation looks like to a 12-year-old girl, one with her eyes firmly planted in the sky. To obtain this information, I had to look no further than Amy Jens Hansen, a polite, articulate future pilot from Southern California. I met Amy at Airplanista Magazine’s Tweet-up event this past summer at EAA AirVenture. What amazed me about this young girl was her clear articulation of her flying passions. She is mature beyond her years, and after reading the following interview, I think you’ll agree with me that there is a 1,000% certainty that this girl will earn her place in the left seat of something shiny and fast as soon as she possibly can. Airplanista Magazine: How old were you when you were first introduced to flying? Amy Jens Hansen: I was nine-months-old when my dad took me flying for the first time in the RV-6A plane that he built. To protect my ears, my dad fashioned some foam inserts to fit around my ears and my mom sewed them into my baby bonnet and that’s what I flew with until I got my own headset! My Dad flew me around the field and did some pattern work. As we taxied by some fellow pilots he unclipped me from my seat and held me up so they could see he was introducing his daughter to flying at such a young age. AM: When did you know for sure that you wanted to be a pilot someday? AJH: I was about seven years old and I remember just the sense of awe of lifting off the ground and no longer being anchored to the earth by gravity. I loved that feeling and knew right then I wanted more of it. AM: I understand military aviation runs in your family. Is being a military aviator something that interests you? AJH: Well, that’s a deep and especially meaningful question to me. My grandfather, Richard J Hansen, flew in many major operations during WWII. He flew a C-47 in the 93rd Squadron of the 439th Troop Carrier Group. He flew in Operation Market Garden, Operation Varsity and also flew in the Berlin Airlift. The courage and skill that he and other pilots had to have is evident in looking at the pictures depicting the flight operations, especially the formation flying with double glider tows. Being a military aviator interests me because I’d love to carry on my grandfather’s legend and the military offers nearly unlimited access to cutting edge technology and aircraft. Being a part of one of America’s main prides would be an honor. My grandfather inspired me in many things and is, and always will be, a dear memory in my heart. AM: Your dad builds experimental airplanes. Do you help him, and do you feel this time together building planes with your father is quality time? AJH: Yes, I do help my dad build. Currently we are building an RV-10 for the family and I help put rivets in and inspect them with the rivet gauges to make sure they’ve set correctly to depth and diameter. Most recently, we built fiberglass panels of the door, which was a very intense process that required the entire family to participate because the dry time was very short! It is so fun to build planes with my family. I don’t know what my life would be like if we hadn’t started this project. We hope to fly into Oshkosh in 2012 for the EAA Airventure show that will be honoring Richard Van Grunsven, the inventor of the RV series. This is quality time for me and my dad because most dads spend all day away at work and I get to help my dad with his work! AM: You mentioned that you intend to enroll in an aeronautical university. Tell us what your research on this topic has uncovered. AJH: If ever there was an aviation university that could offer me everything I wanted as far as degrees I want to pursue and aviation experience I will need to succeed, it is Embry Riddle Aeronautical University. ERAU is a strong candidate as a college for me to go to because it offers the normal four-year degree that I could get at other universities while earning my aviation ratings at the same time. With 150 campus centers throughout the U.S., Canada and Europe I’m sure there is one that will suit me. In my eyes, ERAU is awesome! AM: When I met you and your family at Oshkosh this summer, you mentioned that AirVenture was a good experience for families with young girls who want to become aviators. Why? AJH: The trip was extremely educational and fun because not only did we have the wonderful Airventure Oshkosh experience, we also toured many wonderful things in the U.S. including five state capitols along the way. This is definitely a good experience for young girls because it not only provides one-on-one family time, it also gets them stoked for aviation! They started Women Venture a couple of years ago and they are really focusing on young girls and helping them achieve their dreams of becoming pilots. People like Julie Clark and organizations like Girls With Wings and the 99 Club all have a focus on helping young girls towards their aspirations to be a pilot. AM: What was the coolest thing you saw at Oshkosh? AJH: The coolest thing about Oshkosh is definitely the people! They are of one mind, all mingling together, coming from all corners of the world to become one throbbing heartbeat for aviation. AM: Describe your deep inner feelings about flying. AJH: I literally dream about flight! I love the sensation I get when the wheels leave the runway, the vibration that rolls up my spine to my head and it’s just the sense of wonder! It gives me chills just thinking about it! Then when I’m up there, I feel this sense of peace, like I’m all alone and nothing can harm me when I’m up there. Living in California, the only thing I’d want to be doing during an earthquake is flying! Flying is a great joy, but it is also a great responsibility. It is sad to hear about the long-time small airports that are being shut down. It is sad to think of the pilots who have made these airports their home base and the airports are being closed down and being replaced by houses or other city uses. It is a wonderful freedom, but with freedom comes responsibility. We need to protect our small airports by using them, speaking up in protection of them and letting others know that they are a unique symbol of American freedom. AM: As a young girl, what do you think the GA community needs to do a better job of to interest other girls in flying? AJH: We need to recognize the bravery of women pilots who blazed the trail of aviation for women and bring that knowledge to young girls. Airventure at Oshkosh should have more girl-based things. They have KidVenture and they have WomenVenture, but they should have GirlVenture with competitions that would give girls a chance to win a piloting session with a flight instructor while at Oshkosh. Or a chance to have a flight with someone like Patty Wagstaff or Julie Clark. And we have the Blue Angels, we should have a squadron of Pink Angels to inspire girls and women pilots. AM: Do you think the same opportunities exist for both young men and women to become professional pilots? AJH: Yes. A long time ago it was proven that girls can do things as well as boys and sometimes…even better! Girls have to be willing to pursue their dreams, but we have fashion, time at the mall and talking on the phone with our friends that gets in the way of our focus on aviation. But, of course, flying fashionably requires cute clothes! AM: GA seems to have lots of negative issues coming at us all the time right now, such as questions about 100LL fuel availability, FAA funding, and increasing costs of airplanes and fuel. Do you think this instability is keeping people from learning to fly? 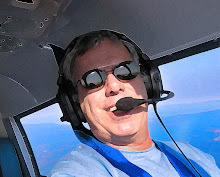 AJH: Yes, it does keep people from wanting to learn how to fly. I think people who want to learn aviation say no because they are afraid it will be a wasted investment because of our poor economy; without realizing that aviation is rewarding and worthwhile and will serve many good purposes in many good ways. AM: As the next generation of pilots, what will young people like yourself have to do to help grow a stronger GA community? AJH: We are going to have to cherish general aviation now for what it is, because if we don’t cherish it now, we’ll lose it forever. When I said cherishing I meant that we need to use general aviation, take advantage of its opportunities to keep it alive to let people know we haven’t let it go to waste. Bring attention to organizations that are using general aviation to do good like Pilots N Paws (pilotsnpaws.org). That is an organization that is using small airports to transport and deliver rescued animals to new, loving owners. Continuing to use small airports makes sure that general aviation and small airports will stay in use. AM: There are plenty of news reports and research data out today that suggests girls are less likely to excel in Science, Technology, Engineering, and Mathematics. How important is it for girls in your generation to study this curriculum if their eventual goal is to become a pilot? AJH: First of all, if girls were given the proper opportunities to be encouraged to pursue science and mathematics then I think that statistic would be different. Today there is so much emphasis on the fashion world that girls often lose themselves in that without realizing that they’re taking a chunk out of their futures by not pursuing math and science. Aviation has a lot to do with engineering. Engineering has a lot to do with math which goes hand in hand with science. It is extremely important for girls to study math and science. I’m also homeschooled, which has offered me the opportunity to pursue higher levels of science and math. AM: Look out in the future 10 years to 2021. What do you think the general aviation world will look like? AJH: I see solar powered planes landing on roads to get a Starbucks only to take off again on their way to Hawaii. I see hybrids and electrics booming by the year 2021 and most everyone will have a personal airplane in addition to a car. Science majors will have opportunities in the next ten years to bring technology to fruition that right now is only on the cusp of being discovered. The jobs will be plentiful as my generation creates new and improved technology. AM: If you could describe your perfect flying life as an adult, what do you aspire to do, to be and why. AJH: I will have a 2022 Ford Mustang that has jet propulsion as its hybrid extension, allowing it to fly as well as to travel on roads. So when I feel the need for speed I can meet that need in the air or on the road. Now back to real life, I’d have my pilot’s license, an RV-6A to fly, a major in science, my own private business and be flying to a different airport every weekend and I would be a yearly attendee of the Airventure Oshkosh event. Because aviation is in my blood, it’s my passion and without passion you have nothing.